I promise to use it only to send you The Guadalajara Explorer. Prepare for your vacation abroad by learning some helpful Mexico travel tips and find answers to your Frequently Asked Questions about traveling for Mexico vacations. When you're in Mexico you want to ensure you have the best, most relaxing, most memorable and safest vacation possible, right? Here we have a few Mexico travel tips and frequently asked questions about traveling to Guadalajara, Mexico. Prepare yourself ahead of time for certain inconveniences, so that you won't be left off guard and unaware. Read all about helpful Mexico Travel tips and Frequently Asked Questions Here! Don't get stuck in the rain! Read up on the two major seasons in Guadalajara and what to take for them. It's funny the way we take everyday conveniences and necessities for granted, especially when we are so used to something "just being there," for instance, things such as toilet paper. Unfortunately, I learned this little Mexico travel tip too late. I can laugh about it now, but I wasn't really prepared for it. On my last trip to Mexico, Antonio and I were exploring the wonderful and colorful town of Ajijic (about 45 minute drive from Guadalajara). We parked in the small local park by Mexico's largest lake (Lake Chapala). Usually public parks such as these will have public restrooms and so.. I walked right in not realizing they didn't have toilet paper. Usually there is somebody attending to the restroom and she will sell you a bit of toilet paper for a few centavos, however, she must have stepped away for a second. So there I was (a grown woman).. doing the "ants in the pants dance," waiting for the toilet paper. Lucky for me, I didn't have to wait too much longer after that. But it could have been worse! You could have small children with you that really, really have to go and well, you want to be as prepared as possible. So to be on the safe side.. whenever I'm down for a visit in Mexico I make sure to have my roll of toilet paper with me in my bag. It's just more convenient. Don't be embarrassed, even some of the locals do it too. I've seen it myself.. after the fact of course. Don't be afraid to leave your laptop at home when you travel to Mexico. Nearly every hostel and/or hotel has Internet access and the restrictions are not too intolerable. Yes, the Internet was denied each night at 2 am but it was accessible every morning at 5 am in my Mexican hacienda. Every now and then, the housekeeper had obligations outside the facility and forgot to hook us up, but those times were few and far between. Her homemade lunches made us forget every computer delay we ever endured. 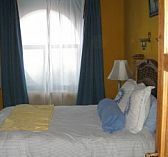 If you rent a room near the Universidad de Guadalajara, not far from Centro Historico, you can use the local PCs, drink a Diet Coke or sip on orange juice while playing computer games, listening to your favorite song, reading your favorite book or finishing your homework in haste. The Internet cafes are everywhere, cost almost nothing and are operated by friendly collegiate people. This is one helpful Mexico travel tip I wish I had known sooner.. you never know when you're going to need it and if anything, it will come in handy for something. Hey! Don't forget to sign up for our free e-zine (The Guadalajara Explorer) to receive more traveling tips, updates and more information on traveling to Guadalajara, Mexico. Sign up below! 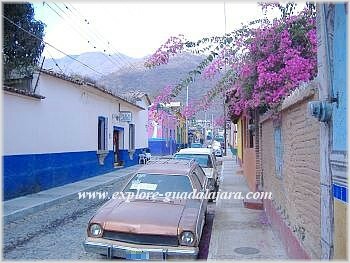 I promise to use it only to send you Explore-Guadalajara.com updates. Frequently Asked Questions and Other Must Know Info. Mexico Travel Requirements: Do I need a passport to travel to Mexico? Are you traveling with a minor to Mexico? Read up on the documents you will need. What is Montezuma's revenge and how do you get it? Read up on Mexico tap water and why you shouldn't drink it. Need help calling Guadalajara? Here are the step by step instructions. Don't forget to book early! © Copyright 2006-2016 Explore-Guadalajara.com All Rights Reserved. Derechos Reservados. All photos and text are protected. Reproduction is prohibited. Todas las fotos y textos son protegidas. Prohibida su reproducción.